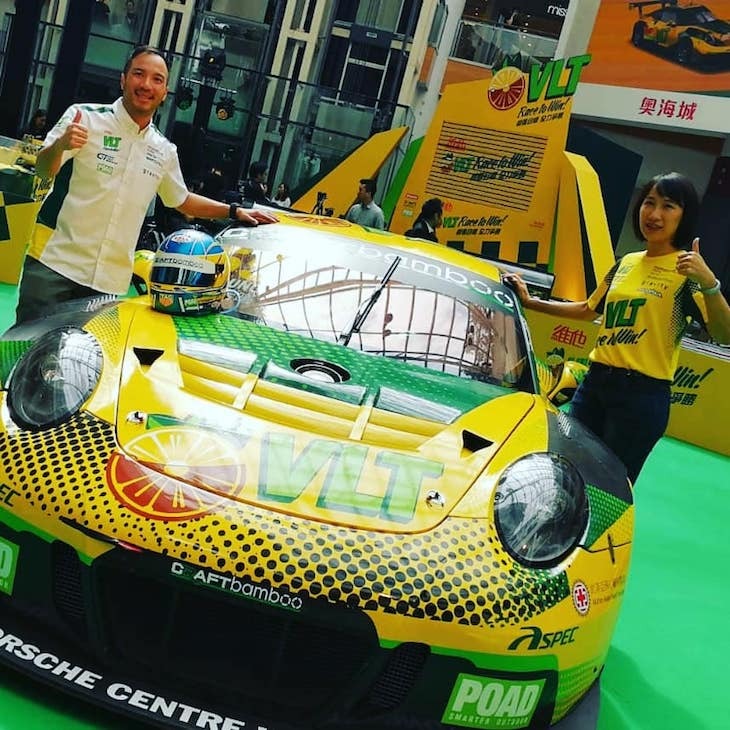 Porsche Design has partnered with Hong Kong team Craft-Bamboo Racing for the 2018 FIA GT World Cup. 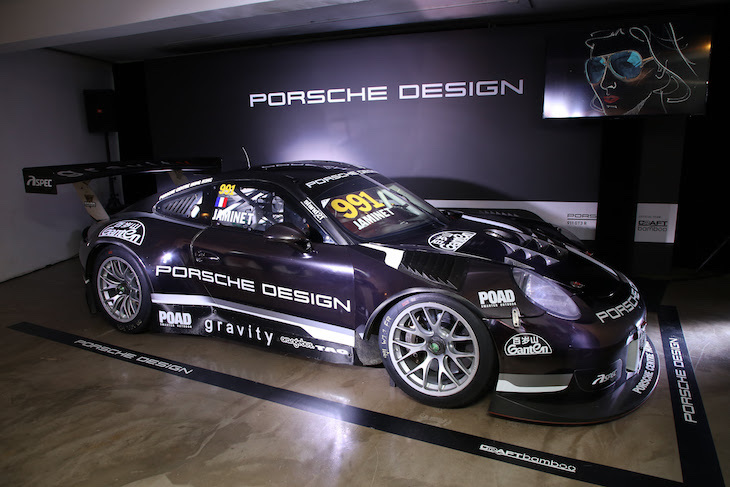 As part of the deal, Porsche Design will have title sponsorship of the #991 Craft-Bamboo Racing Porsche 911 GT3 R for the weekend in Macau, which will be driven by Porsche factory man. To celebrate this partnership, Porsche Design has put together an exhibit: “Auto Reflections by Thomas Sandfield”, which is “a bold photography project”. The “Auto Reflections” exhibit showcases the special chrome Porsche Design Porsche 911 GT3 R, shot at vibrant and dynamic scenes in the streets of Hong Kong through the lens of award-winning Norwegian photographer Thomas Sandfield. The Porsche 911 GT3 R was photographed in great detail, blending the functional engineering design and artistic influence from city. The locations that provided the backdrop to the photos were specially selected to compliment the reflective surface of the race car; the technicolor neon lights bending over the curved bodywork to give the impression of an explosion of colour and the iconic architecture providing an awe-inspiring backdrop. 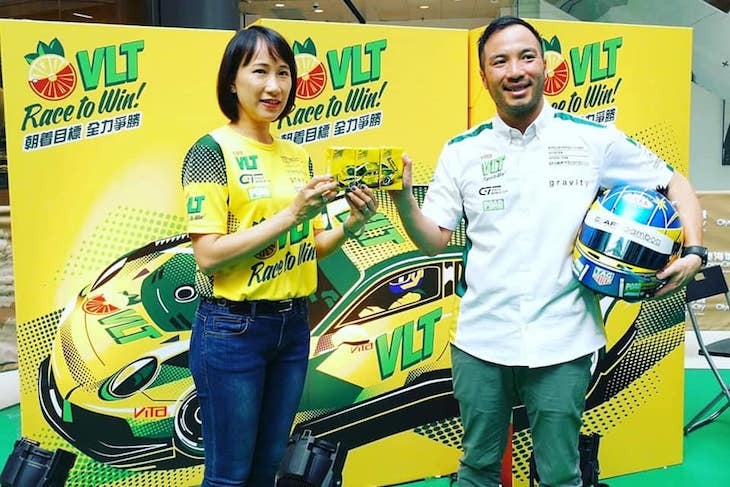 Vita VLT has renewed its long-term partnership with Craft-Bamboo Racing, becoming the title sponsor for the team’s sister car, the #55 Porsche 911 GT3 R for the FIA GT World Cup, which will be driven by Darryl O’Young. O’Young will be looking to represent Hong Kong for the 15th consecutive year at the Guia street circuit with a strong performance on his return and improve on his best World Cup finish of 5th overall in 2015. 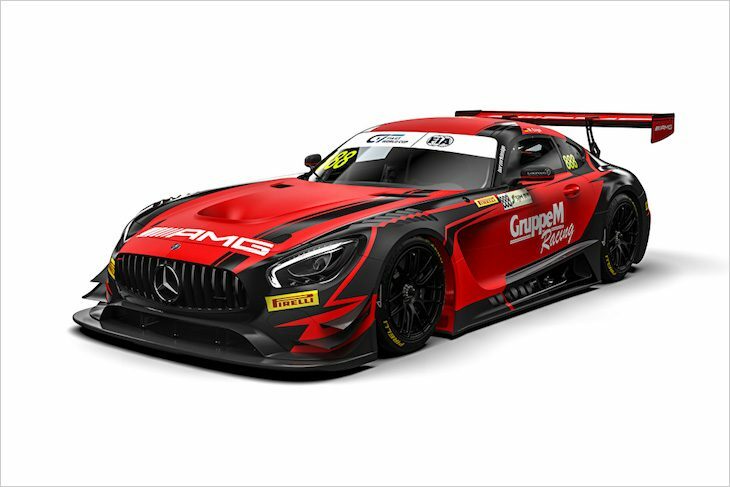 Another set of colour schemes for the Macau weekend are from GruppeM, which is taking a trio of Mercedes AMG GT3s to the event. Last year’s winner Edoardo Mortara, racing under the Swiss flag, has starting number 1. 2015 race winner Maro Engel will be racing the #888 (featured) while the #999 (below) will have freshly-crowned Blancpain GT Series champion Raffaele Marciello behind the wheel. “To me, Macau has always been a very special race,” said Edoardo Mortara, who is looking to defend his crown. “I have had a lot of success there and I am happy every time I can race at this demanding track again. Competition in GT racing gets harder every year as just one glance at the entry list reveals.